Amrita Vishwa Vidyapeetham’s (Deemed to be University) Technology Business Incubator (TBI) has won the National Award for being the best Technology Business Incubator in India from the Dept. of Science and Technology, Government of India. The President of India, Sh. Pranab Mukherjee, presented the national awards for excellence in technology at a ceremony in Delhi to mark the 19th National Technology Day. 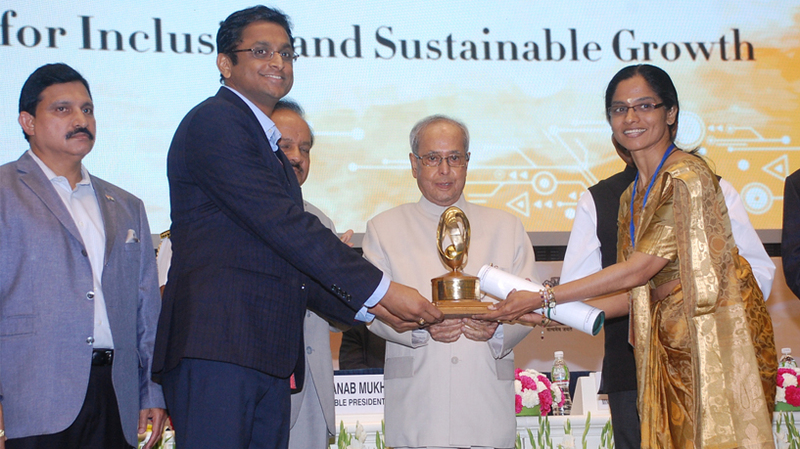 Krishnashree Achuthan, CEO, and Snehal Shetty, COO, of Amrita Vishwa Vidyapeetham’s TBI received the award. Amrita Vishwa Vidyapeetham’s TBI, a joint venture with Dept. of Science & Technology, Govt. of India, focuses on incubating startups in the areas of Information Technology, Cyber-Security, Networking and Social Media, among others. It recently established a startup hub to build the next wave of cyber security startups in the country. Amrita Vishwa Vidyapeetham’s TBI is one of the only six incubators selected to be made world-class under NITI Aayog’s Atal Innovation Mission (AIM). According to NITI Aayog CEO Amitabh Kant, the objective is to transform the startup ecosystem in India by providing financial scale-up support to these six “rarest of the rare” incubators and upgrade them to global standards. Each of these will receive $1.4 Mn (INR 10 crore) over a span of two years to provide state-of-the-art facilities to the incubated startups. Amrita Vishwa Vidyapeetham’s TBI is supported by the Government of India and recognized under the Startup India program.